The excitement surrounding the 2018 WSOP will be experienced first-hand by Kevin BUYMEDINNER Pahl, who has chosen to enter the $1,500 Monster Stack event after winning a $5K leaderboard prize package in the Rattlesnake Open at Global Poker. The beauty of Global Poker's leaderboard competition is that the winner can pick a live poker tournament of his choice with the $,5000 prize that includes hotel and travel expenses. Pahl also intends to play some other WSOP events on the schedule, as well as a $1,000,000 GTD at the Wynn. The other sites available to US players are few and far between. There are just a handful of them at the moment, with at least one site the subject of much scrutiny lately over some alleged nefarious practices. But those issues don't concern Global Poker players who legally cash out via PayPal and will soon have additional options at their disposal following Global Poker's announced alliance with Worldpay. The poker site's legal status as a sweepstakes model allows players to concentrate on poker without worrying about the safety of their funds, many hoping to improve their game and move up in stakes as Pahl did. While the SitNGos may be his game of choice, Pahl transitioned to MTTs for the Rattlesnake Open, cashed in 15 events, final tabled five, and won a championship to claim the leaderboard crown. So now he gets a shot at representing Global Poker on the big stage at the WSOP. Kevin is looking to keep a certain winning streak going, that being to at least cash in the live tournament, as the two previous Global Poker leaderboard winners have done. With his wife Maggie by his side cheering him on, perhaps a deep run and even a WSOP gold bracelet are goals that can be achieved. Another defense against tilting is Pahl's friend named Jordan. The two discuss poker often, with Pahl benefitting from his buddy's experience on the felt - more than a decade and counting. 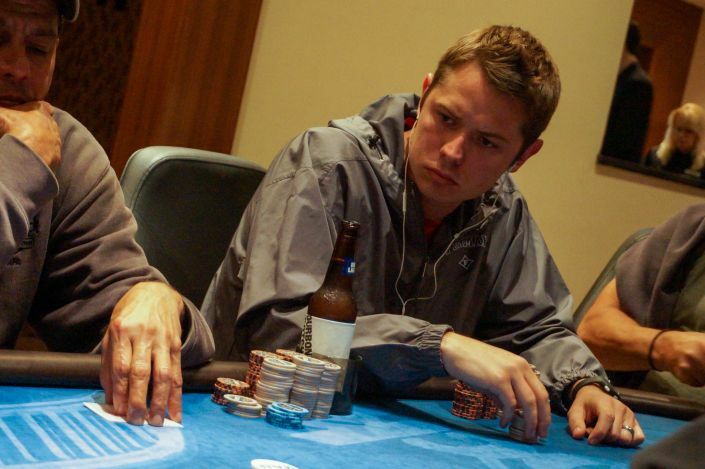 "I really get a lot of value from talking about poker and bouncing different ideas and theories off him [Jordan],” Pahl said. "The people on Global Poker are really friendly. I chat with a lot of people on the site when I play and it makes things really enjoyable, everyone seems really nice." It sounds like Kevin has found his online poker home. It's a site that has afforded him an opportunity to play several live tournaments in Las Vegas this year. Let's see if his homecoming after playing the WSOP includes celebrations for an in-the-money finish - or even a gold bracelet!